My Mummy's Pennies: Movies or Sports? Why not have both for just £20? Movies or Sports? Why not have both for just £20? Are you a Movie lover or a sports fanatic? In our house we have a mixture. My husband loves watching sports on TV, anything from athletics to football and especially any of Man Utd's matches! Where as I much prefer snuggling up and watching a movie, I've got quite a varied taste when it comes to films, I love anything from a good old soppy romances like Dirty Dancing and Notting Hill to gore filled Quentin Tarantino classics such as Natural Born Killers or Django Unchained. Thanks to TalkTalk's new promotion we may be able to settle a few arguments! Now TalkTalk TV homes can watch both Sky Sports and Sky Movies for just £20 a month for the first three months meaning that we can watch the Premier League matches AND my favourite movies! 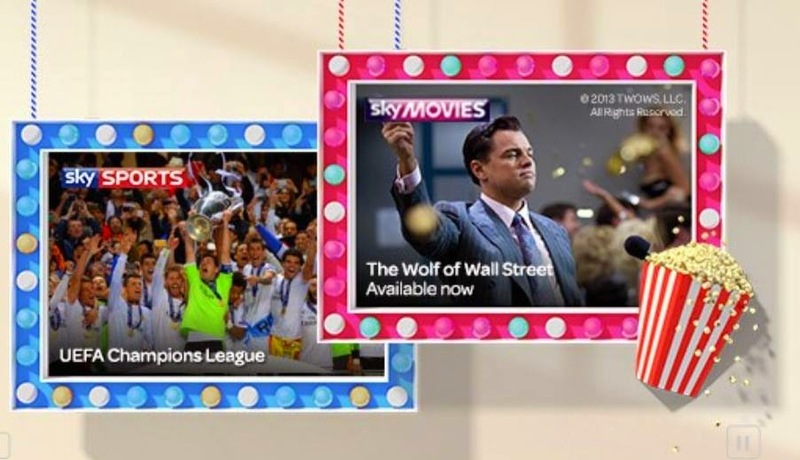 Following the success of TalkTalk’s recent Sky Sports half-price offer, they've now combined Sky Movies and Sky Sports Boosts saving sport and movie loving homes up to £25 a month. Usually TalkTalk homes can access Sky Sports Boost for £30 a month and its Sky Movie Boost for £15 a month, on a month by month basis with no ongoing commitment. Sky Sports channels bring live coverage of the Barclays Premier League, UEFA Champions League Football, F1 and Rugby Union. Customers can also enjoy 11 Sky Movies Channels, including Sky Disney and Sky Superheroes and access to hundreds of blockbuster movies on demand. TalkTalk's half price Boost gives customers like me access to more movies and sport on a flexible basis without hefty costs or having to commit in the long term. TalkTalk believes that it's customers should be able to dip in and out of channels they love, and that’s why it is giving customers access to Sky Movies and Sky Sports Boost at better than half price. This offer is ideal for cash-conscious sports and movie fans and gets families ready for a great autumn of entertainment. All we need to do now is decide who gets custody of the remote! TalkTalk’s TV Boosts provide additional channels that can be added or removed a month at a time with no ongoing commitment; it is TV to be glued to not stuck with. In addition to the Sky packages, TalkTalk homes can add Boosts for hit US and UK entertainment and favourite kids channels and on demand content to their package at the touch of a button. TalkTalk’s Essentials TV is half price for six months at £4.25, then £8.50, plus line rental. And Plus TV is just £9.25 a month for six months, then £18.50 a month, plus line rental. TalkTalk’s Plus TV package includes seven great Sky entertainment channels and a free YouView box, usually £299. This post was written as part of my role as a TalkTalk Family Blogger.